Probate has now become very competitive and as a private client practitioner you may have to work harder and charge less, but with Troika, you can turn a difficult market into a highly profitable one. Troika is the solution for estate management. It gives you all the features you need for estate management from document management, task management, bookkeeping, form filling capability and final accounts production. It gives you a significant reduction in risk, giving you the tools to make probate management profitable. Troika streamlines and simplifies estate management, making you work more efficiently. It guides you through a simple set up wizard when creating a new estate. It allows you to allocate new estates to individual users, departments or offices. Troika organises information in an easy to read, tabbed format, allowing you to move quickly through the details of an estate. It allows you to enter a substantial amount of information for complicated estates – from investments, assets and bank accounts to income and dividends. Troika is designed to simplify estate management. It allows you to move away from the traditional fee earner structure and easily share tasks and workload amongst all users. Troika generates and automatically completes the IHT400 and IHT205 forms from within the system and updates the IHT forms as you work. It automatically updates financial data you amend through all the relevant accounting periods. Troika can automatically split investment holdings and allocate them to beneficiaries, clients or trusts arising from the estate. It lets you easily process capital events and calculate CGT. Troika will keep your cases on track, whatever the level of progress. Troika’s built-in diary and workflow tool allows you to set and allocate tasks, reminders and workflows, including deadlines and important events, to each probate case. You can build your own individual workflow, which can then be set to an individual task or used across all cases. It can link a variety of different actions to a task, such as writing a letter. You will be prompted when follow-up action is required as Troika tracks progress and displays reminders of specific items. It can effortlessly create reports at any point during the case to give a measure of work outstanding. Troika gives you the confidence to know that progress can be tracked across all users. Work the way you want to with Troika’s extensive customisable and compatible features. Troika generated reports can be exported into Microsoft Word, giving you control over their final presentation. It gives you the control to create specific templates, personalised to match the way you work. It allows a super user to control how general users access links to letter generating templates from within the system. 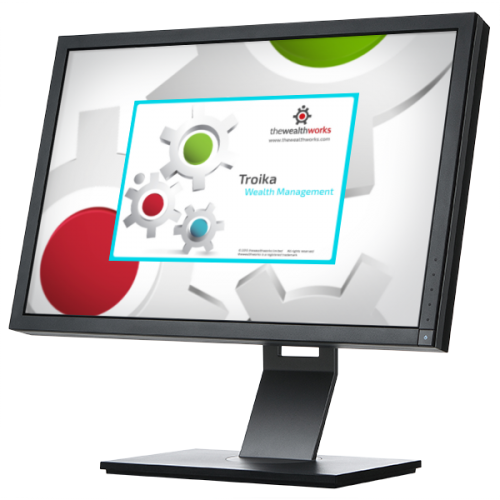 Troika can be linked to document management systems you are using or generate documents from the database itself. Troika has all the accounts and reports you need to stay in control. It gives you the date of death statement showing the assets and liabilities of the estate, and giving you a net chargeable value. It provides an estate account, starting with the net value and showing correctives for the items included for inheritance tax purposes. You can report on additions to and reductions in the value of the estate during the period of administration. It gives you a distribution account starting with the adjusted estate value and showing the bequests and the distribution to the beneficiaries. You can report on beneficiary accounts showing the individual entitlement to their share in the estate and how these have been satisfied.